teach CVCe words - those tricky to spell words with a final silent 'e'. Many young children will fly along with their spelling until they reach those tricky long vowel sound word - the ones with a final silent 'e' then they can stumble. Often they will be able to read them before they can spell them correctly. So how do we help our children learn these harder to spell words? Slowly and with plenty of visual support is the key. That and lots of practice reading and spelling words that have a final silent 'e'. 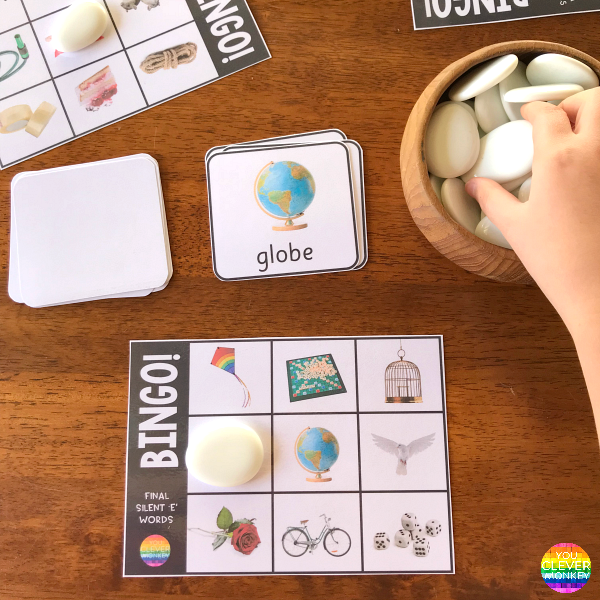 Introducing them as part of word families can be a good place to start but once they are confident with their sound knowledge, many children just need to practice reading CVCe words so they can spot the final silent 'e' when trying to decode words. 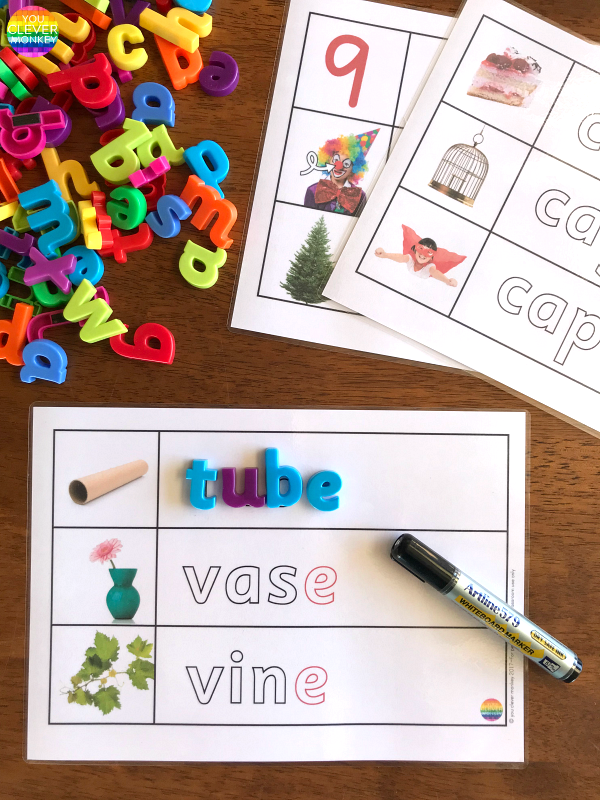 Designed with beginning readers and spellers in mind, I been creating plenty of different printable resources with these consonant-vowel-consonant-final silent 'e' (CVCe) words provide ideal support for young children in my class beginning to spell. These are ready to add to my literacy centres to allow children to independently practice what they have learnt in our intentional spelling lessons. 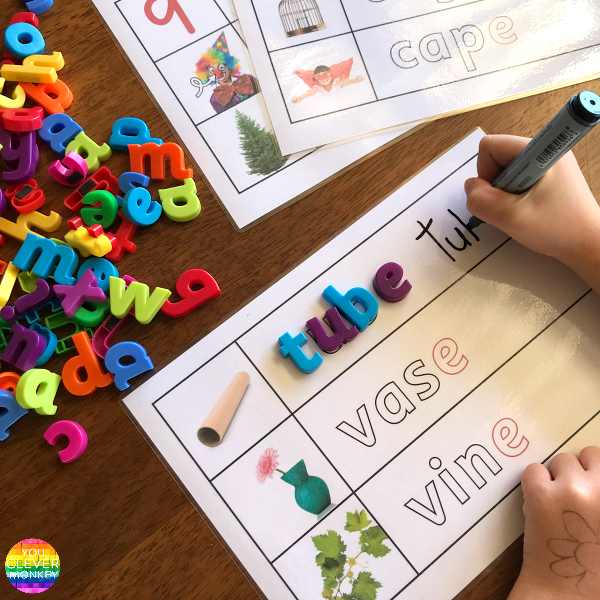 To start with, I use some of our CVCe Word Mats along with some magnetic letters and whiteboard markers to practice spelling the words as well. These make differentiation easy as some children will just build the word while others will attempt to write it as well. 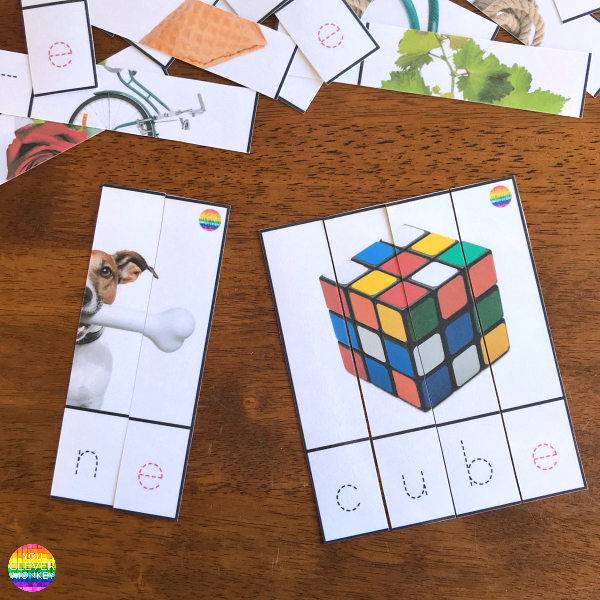 My class love puzzles so I have also created some 4-part CVCe puzzle cards for them to try and piece back together. These ones pictured have text as support but I've also got some blank ones ready to move on to as well for my students to write the word independently. My class love their games so I've also created a BINGO game with final silent 'e' words. 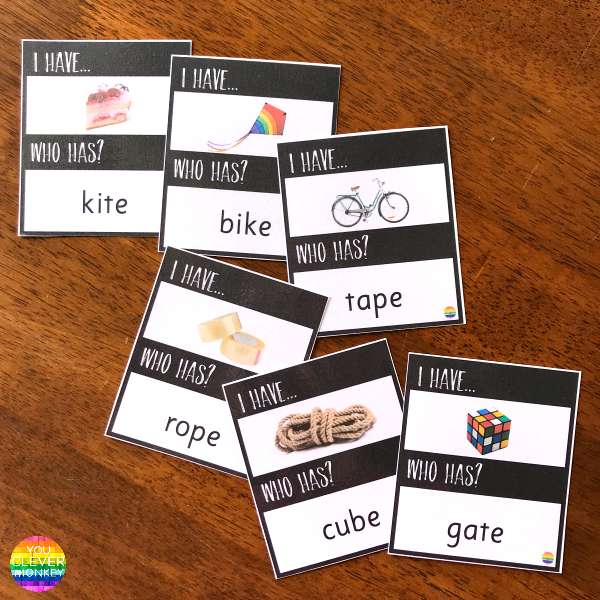 Usually I introduce these to the whole class first before adding them to our literacy centres so they have all been exposed to the game before having to play it just with their peers. Perfect for improving listening skills, this 'I have... Who has?' CVCe game has also helped some students read CVCe words correctly. We play it as a whole class when we have 5-10 minutes to fill in. WANT ALL OF THESE FOR YOUR CLASSROOM? 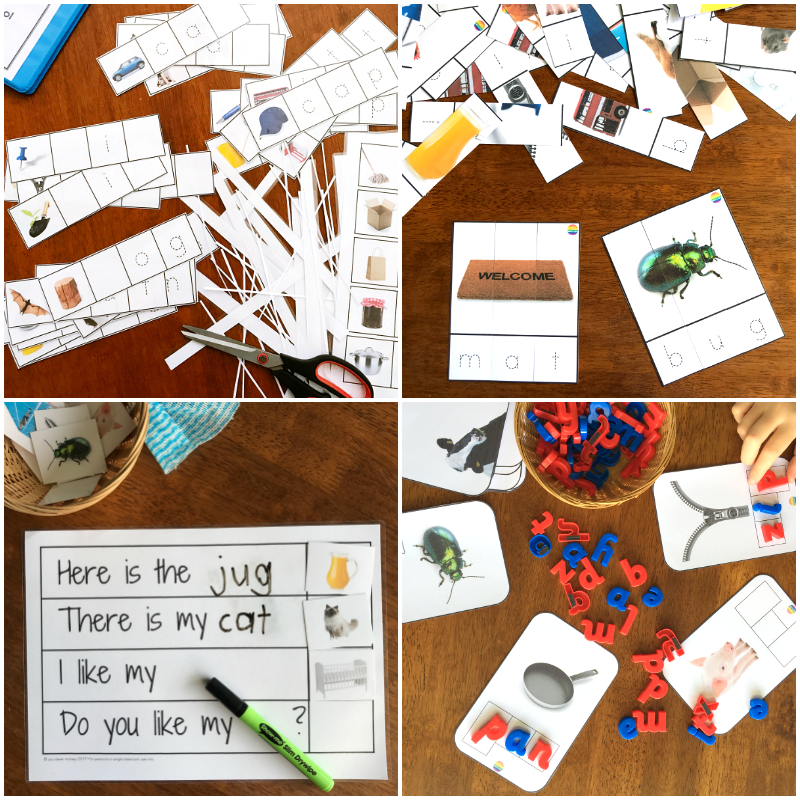 3 different sets of calling cards - one with text only, one with text only with the vowel sounds highlighted in red and another set with text and visuals with support for beginning readers. A fun way to practice reading final silent 'e' words. Ideal for literacy centres activities. 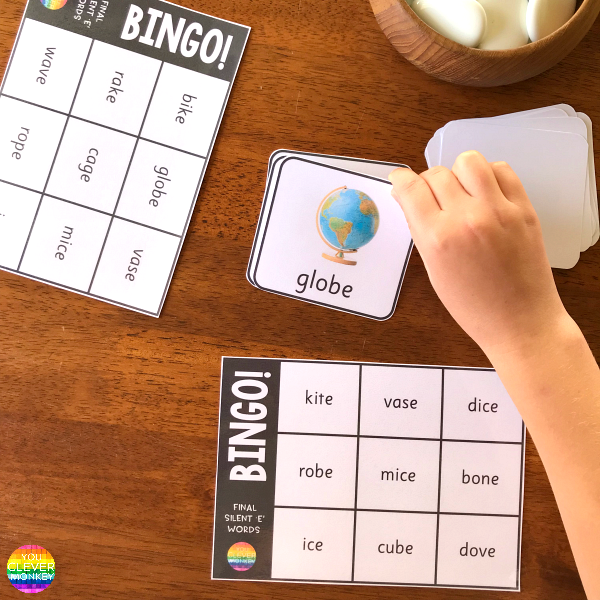 35 different CVCe word all with real life images and open text as visual support - just print and add some magnetic letters to build the words. CVCe I HAVE, WHO HAS? 27 different cards with CVCe words all with real life images and clean easy to read text. The perfect time filler for a whole class. CVCe I HAVE WHO HAS? 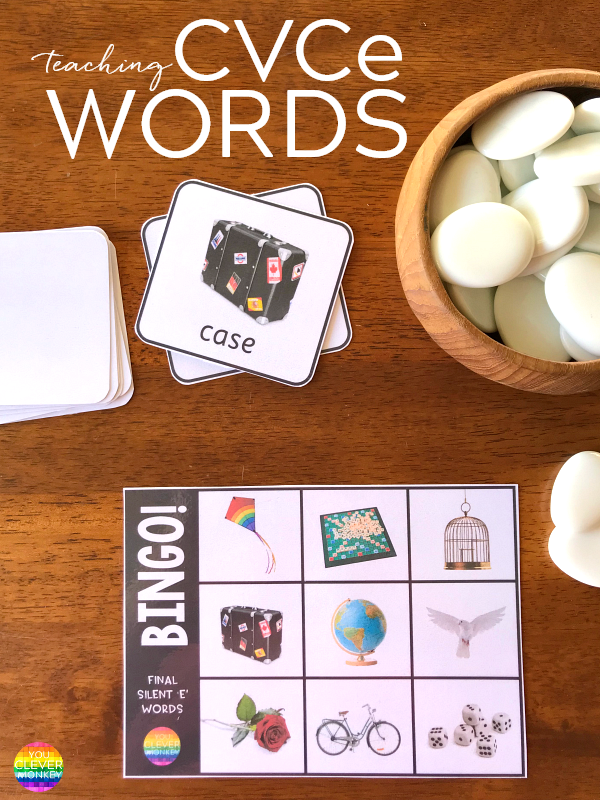 You might also like our CVC Word Activity Bundle!